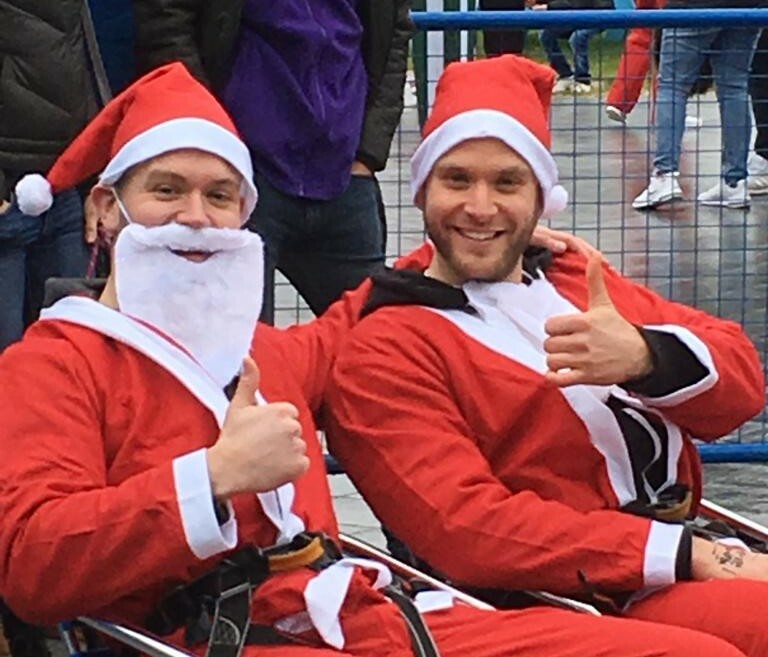 Two of our Associates, Graeme Gallagher and Gary Caudrey, dived 160 feet from a crane when they took part in the ‘Santa Bungee’ for the Glasgow Children’s Hospital Charity. The intention was for the donators to choose who took the plunge but the charity then suggested that the plucky pair could make the leap together. “It was terrifying,” said Graeme.